The world's first dedicated FL Studio controller. 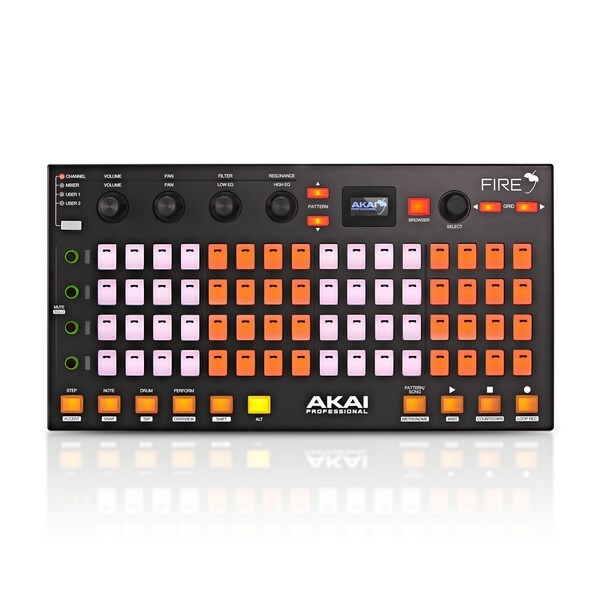 Developed closely with Image-Line, the Akai Fire FL Studio Controller is optimized to make sure your creativity is never limited. The four banks of 16 velocity-sensitive, RGB pads make tapping in patterns literally as easy as pressing a button. With four modes accessible on the front panel of the Fire, as well as a dedicated FL Studio control bar and browse function, you're able to remove yourself from the screen and truly use this as an instrument. 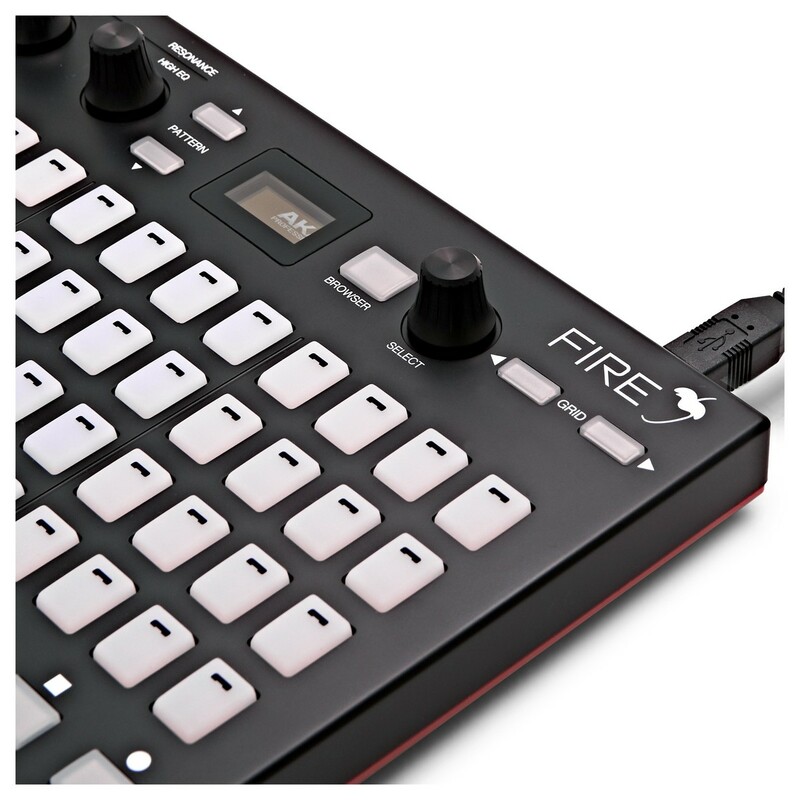 The Fire finally offers FL Studio producers the dedicated controller they deserve. 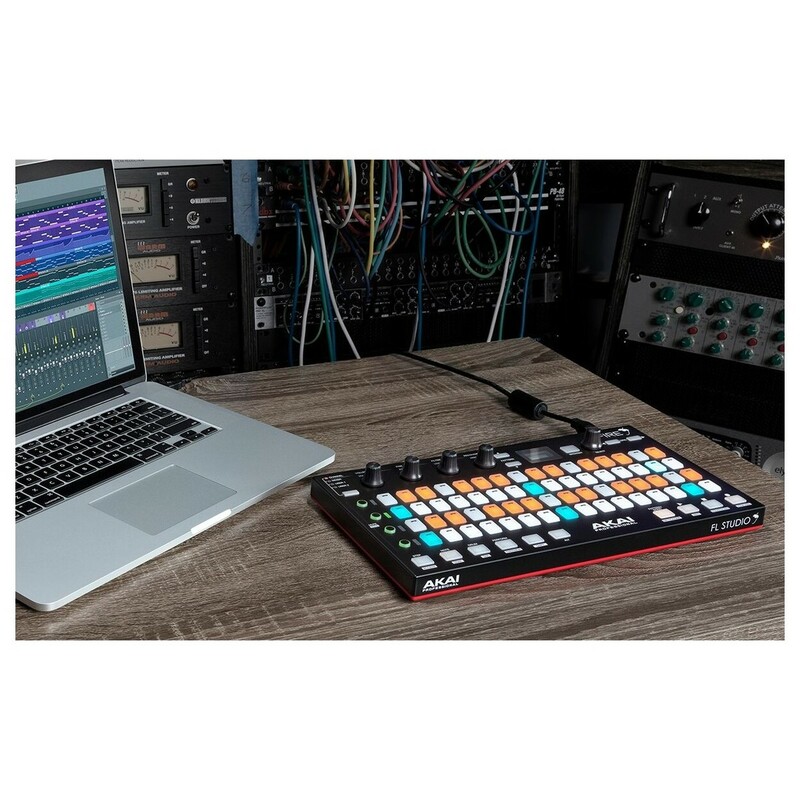 SPECIAL OFFER: 1st April to 1st July, new and existing users of the Akai Fire have access to 3 exclusive Expansion sample packs from Sample Tools by Cr2. This is an exclusive offer, with access to over 1GB of production-ready samples. 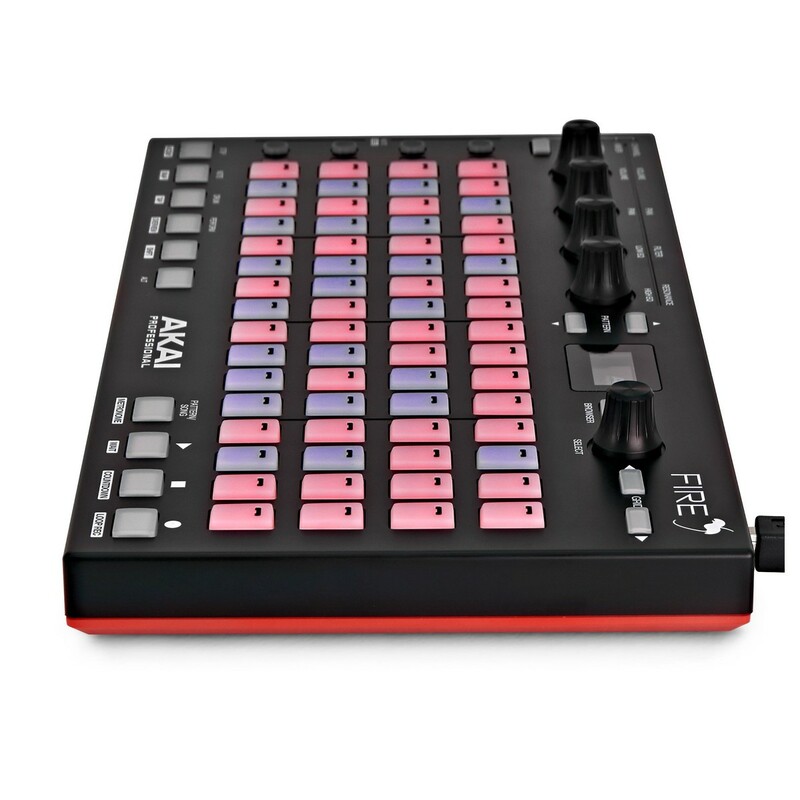 The Akai Fire is the first dedicated FL Studio controller. 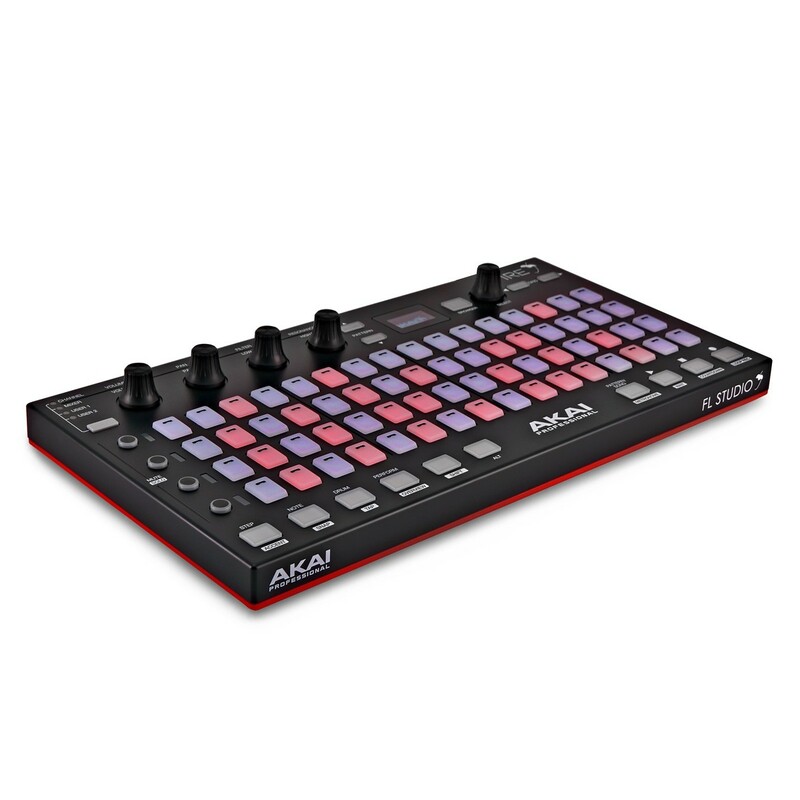 The Akai Fire finally brings users a controller that is truly plug and play. Once plugged in, the four banks of 16 matrix RGB buttons can be used to create freely. Simply select your mode preference from one of four choices and let your creativity flow at the touch of a button. Play your patterns and beats into the Fire using the step sequencer, then flip over into Note mode and start to layer your new beat with a melody to match. 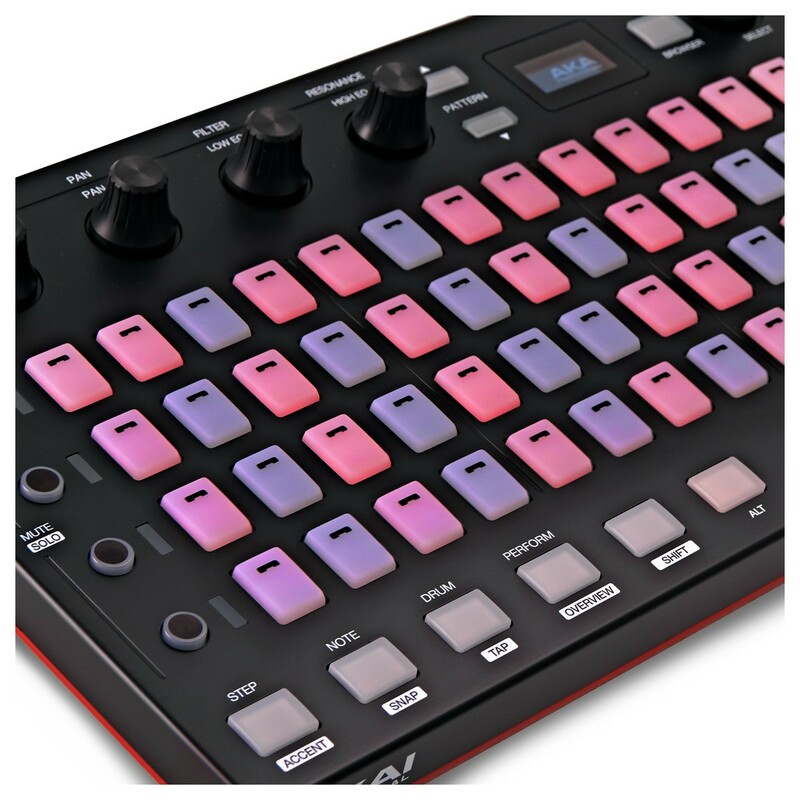 Drop into drum mode and you’ll be greeted with the classic MPC 16 pad drum machine layout. This mode maps perfectly to the FPC plugin within FL Studio, where you’re able to assign any samples or loops to these pads. 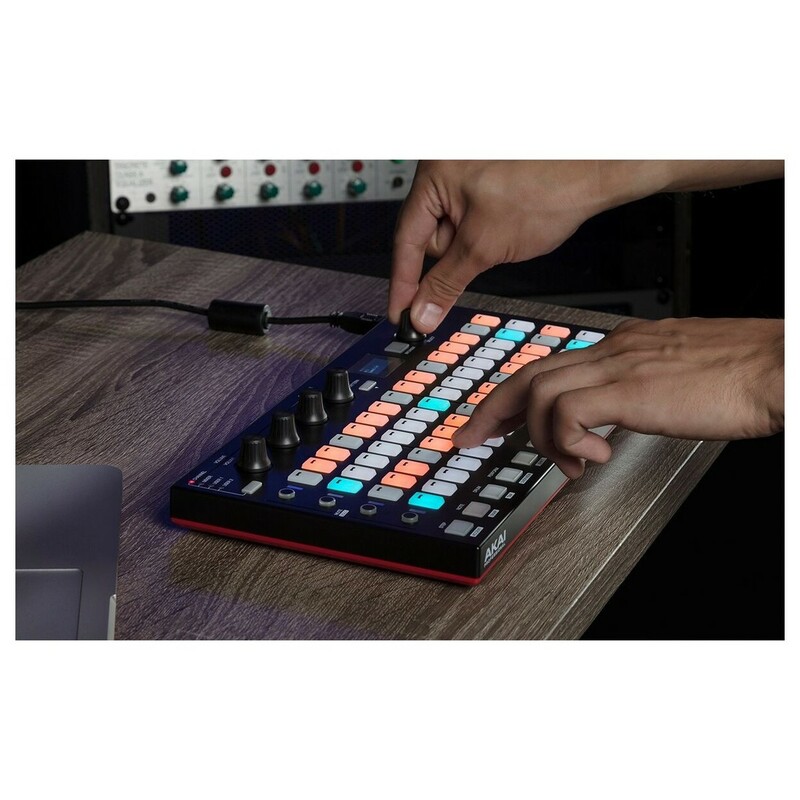 Whether you’re using it for finger drumming, or layering samples to build loops and beats, combined with the Performance mode, the Fire is the perfect platform for a jam session. Express yourself and have fun doing it, the Fire allows you to bring the heat to beat. Pull your eyes away from the screen. The Fire’s navigation allows for easy access to your controls. Channel rack, pattern selects, grid positioning, and browser select allow you to navigate through familiar FL Studio menus quickly. The bright and clear OLED screen is easy to see in any situation. With the bright RGB pads and OLED screen in sight, with the Fire, you’re never lost. The four touch-capacitive knobs on the top of the Fire allow access to basic mixing tools quickly. From the basic track/master volumes and panning, to high and low cut filters and even resonance, they are all accessible on the top panel of the Fire. 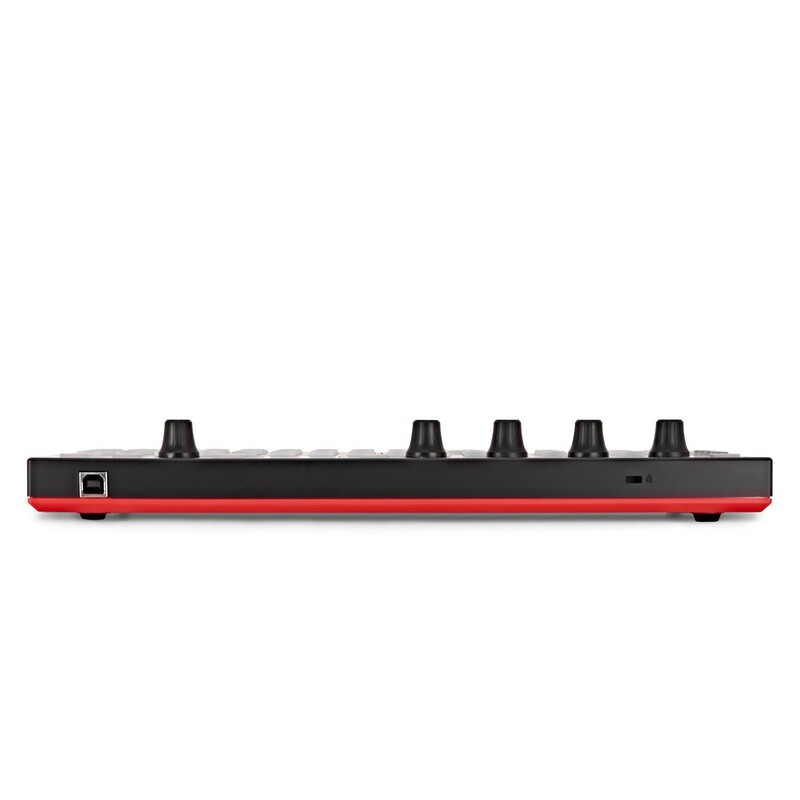 These are great for spontaneous mixing and live performance but can also be programmed to your needs. With an additional two user banks, you can assign up to eight different parameters to these knobs per patch. These can be assigned to effect parameters, EQ sweeps, and even time stretching. Become an independent producer with Fire. Transport controls (play, stop, and record) and mode selection buttons are dual purpose when used with the alt button. This gives access to a host of additional features, such as accents, tap tempo, metronome, loop record and a host more you’d normally have to program on a screen. Free with the Fire comes FL Studio Fruity Fire edition software. Designed with Image-Line directly, this edition of FL Studios enables anyone to create music and produce immediately in conjunction with the Fire controller. Compose, arrange, edit, mix, and master your music with professional levels of production quality. This edition is truly the all in one bundle, giving access to piano roll editor, step sequencer, up to 500 tracks, as well as over 18 virtual instruments, and over a dozen high-fidelity built in effects and processors. You’re also able to use third party effects and instruments as this software supports VST (Virtual Studio Technology) and DXi (Data Exchange Interface) instruments/effects. With a lifetime of free updates as well, FL Studio will never limit your productivity or creativity.